International condemnation mounts against Ethiopia following a Federal High Court’s decision on Friday to press charges against a group of nine Ethiopian bloggers and journalists. The bloggers who are members of a social media activist group known as Zone 9 were arrested late in April for alleged links with an outlawed group and planning to carry out terrorist attacks to destabilize nation. The reporters had been accused of receiving financial and logistical support from a US-based Ethiopian opposition movement, Ginbot 7, a group labelled by Ethiopian government as a terrorist entity. Leslie Lefkow, deputy Africa director at Human Rights Watch accused Ethiopia of ’making a mockery’ of its judicial system. “Hiding behind an abusive anti-terrorism law to prosecute bloggers and journalists doing their job is an affront to the constitution and international protection for free expression.” He said. The New York-based press freedom group, Committee to Protect Journalists (CPJ) to its side said the government in Addis Ababa was trying to stifle opposition voices and media freedom in the country. "Expressing critical views is not a terrorist act. Once again, the Ethiopian government is misusing anti-terrorism legislation to suppress political dissent and intimidate journalists," Tom Rhodes, CPJ’s East Africa representative, said in a statement. An opposition official on Sunday told Sudan Tribune that crackdown against critical journalists, opposition figures members and supporters was a common trend of the Ethiopian government ahead national elections. Ethiopian prime minister Hailemariam Desalegen earlier this week denied the that members of the Zone 9 bloggers were arrested for being critical to government but for having links with terrorists and for receiving instruction from the banned group. Desalegn pledged his government will conduct democratic, free and fair elections something an opposition official referred it as “empty pledge”. Ethiopia which is considered as regional key security partner of the US government had long been under fire of using the broadly defined anti-terrorism law as a tool to curb freedom of expression and to silence opposition voices. The US government has also expresses grave concern against the prosecution of the journalists and urged the Ethiopian government to ensure that the trial is fair, transparent, and in compliance with Ethiopia’s constitutional guarantees and international human rights obligations. “We urge the Ethiopian government to ensure that the trial is open to public observation and free of political influence” said, Jen Psaki, US state Department Spokesperson. using anti-terrorism laws as a mechanism to curb the free exchange of ideas” Psaki added. The trial against the nine bloggers and journalists – one is charged in absentia – is expected to resume on 4 August. Lawyers of the suspects have all dismissed the charges and told reporters that there was no credible evidence to prosecute them. ADDIS ABABA (NAN) ― The Ethiopian Government on Friday arraigned three local journalists on a two-count charge of alleged terrorism and complicity under the country’s anti-terrorism law. The News Agency of Nigeria (NAN) in Addis Ababa reports that the three, including a lady, had been detained for over three months after they first appeared in lower court in Addis Ababa for the same allegations. The journalists were charged at a Federal High Court in Addis Ababa along with six bloggers belonging to an online group called Zone 9, who were also detained for similar allegations. Edom Kassaye, Tesfalem Waldeyes, and Assmamaw Giorgis were charged for allegedly having connections with terrorist organisations; Ginbot 7 and Oromo Liberation Front (OLF), outlawed by the Ethiopian government. Also, the six Zone 9 bloggers including Mahlet Fantahun, Befikadu Hailu, Atinafu Birhane, Natinael Feleke, Zelalem Kibiret, and Abel Wabela were charged together for the same allegation. They were accused of receiving logistics and strategies from Ginbot 7 and OLF the outlawed organisations to destabilise the Ethiopian government ahead of next year’s general election in the country. A leading Defence Counsel to the accused, Amha Mekonnen, told NAN shortly after the court session that he will institute a civil suit against the police requesting for the release of the accused persons. The panel of judges who presided over the court proceeding, however, adjourned the case to Aug. 4, for hearing after the accused were formerly charged. NAN reports that, if found guilty, they would be sentenced to a jail term of between 10 and 15 years in accordance with the Ethiopian anti-terrorism law. Addis Ababa (AFP) – The lawyer for a group of detained Ethiopian bloggers and reporters said Thursday he was filing a civil suit against the country’s police for holding them without charge for nearly three months. 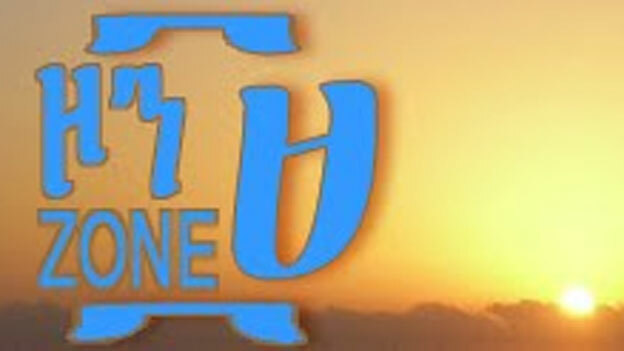 The six members of the blogging collective Zone Nine and three journalists were arrested in April and accused by the government of “serious crimes”, including having links with outlawed groups and of planning attacks in Ethiopia. The Zone Nine site, proclaiming “we blog because we care!” features mostly social and political commentary, often critical of the government. Rights groups have condemned the arrests as one of the worst crackdowns on the press in recent years and accuse the Ethiopian government of silencing dissent ahead of national elections next May. “We are waiting for charges to appear. I’m going to lodge a civil suit against police requesting the court to compel the police to release them,” the lawyer for eight of the suspects, Amaha Mekonnen, told AFP. He said his clients were currently in legal limbo, because a remand court had closed the case without authorising the police to keep them in jail and without permitting them to be released on bail. “Their detention is illegal,” Amaha said, adding that he would be filing his challenge on Thursday. “This is for me a clear campaign from the government to clear the floor so that it’s suitable for the ruling party,” he alleged, saying the investigation was dragging on because the bloggers and journalists were arrested “without sufficient evidence”. The Ethiopian government said the suspects were detained legally. “They are suspected of their links with those elements who are hell-bent on trying to topple this government through unconstitutional means,” Communications Minister Redwan Hussein told AFP. According to the Committee to Protect Journalists (CPJ), Ethiopia has one of the most closed media environments in the world, with 49 journalists living in exile — the most after only Iran and Somalia. “Ethiopian authorities are trying to create the impression that this is a legal matter, when in fact it is retaliation and an attempt to silence government detractors,” said the CPJ’s Tom Rhodes. Redwan dismissed the charge, and said critical, independent media is tolerated in Ethiopia. “It’s not about the criticism. Those who are criticising are already here in Addis (Ababa) printing day in, day out,” he said. In April, the Ethiopian government imprisoned nine journalists, including six bloggers from Zone 9, in one of the worst crackdowns against free expression in the country. Ethiopia is the second worst jailer of journalists in Africa, trailing only Eritrea, according to CPJ research. Ethiopian government officials accuse the Zone 9 bloggers of working with foreign human rights organizations and using social media to create instability in Ethiopia. The group wrote about political repression and social injustice, and their blogs were frequently blocked inside the country. Two months after their arrests, they have yet to be officially charged. Endalkachew H/Michael, one of the co-founders of Zone 9, is pursuing his doctorate in media studies at the University of Oregon and spoke with CPJ about press freedom in Ethiopia. What follows is a condensed and edited version of our conversation. You can view CPJ's Storify on the bloggers here. Rachael Levy: Describe Zone 9 and what it seeks to achieve. Endalkachew H/Michael: Zone 9 is a group of young bloggers who started blogging in 2012. We've been doing a lot of reporting on human rights issues. We are an online media group that had been trying to give a fact-based narrative of the Ethiopian situation, on human rights, economic and political issues. We've also had the experience of doing advocacy on human rights issues. ... We had four campaigns, one on the Ethiopian constitution. The second one was about censorship. The third was about demonstrating, the right to demonstrate, and the last one was about creating a better Ethiopia. RL: Why weren't you arrested with the other bloggers? EM: The incarceration happened just after I left Ethiopia [to study in the U.S.]. ... They went to my own family's house and they went to other members of Zone 9 families' houses. I would have also been in prison had I not been here. And I'm sure I will be charged with my friends. I'm waiting to learn what will be the charge. RL: Did you expect the government to arrest your colleagues? EM: Actually we had been receiving a lot of threats and harassment from security people, and they always come and threaten us individually by telling us we should stop what we're doing--that we should support the government. But we have persisted, and actually we had our own mechanisms of coping with these threats. We have been trying to avoid writing about sensitive issues for the time being. And we had a lot of toning down of our own messages. ... But we never expected they would come in the way they have come and arrest us and incarcerate us. ... The scale is really unimaginable. RL: You were in the U.S. for your studies when your colleagues were arrested. How did you feel being so far from home? EM: It was a terrible experience. I was trying to communicate with the family members immediately when I heard the news. ... One of my friends informed me that my colleague was detained and he was trying to update me. He just put the last word that he heard that someone was coming to get [him] and he was incarcerated immediately after he had updated that information for me. And that was really a terrible moment. I had not been in a kind of normal situation since my friends and my colleagues were incarcerated. And we know that the situation in Ethiopian detention centers is not good. The human rights situation in Addis [Ababa] is really terrible. Two months, and I'm still in a state of shock, I'm still in a state of confusion. It's very difficult for me to come to my senses and to understand and process what's going on. RL: Have you been able to contact them? EM: We have not had full communication with them, and their lawyers have not been able to communicate with them. RL: What can the public do to advocate for the Zone 9 bloggers? EM: Write, blog, use social media. Now, as time goes on, other things have started to come up and people have started to put on hold this situation. But the situation is the same. I want the public to remain focused on this issue. The government is trying to make the public forget the human rights violations and journalists' poor situation in Ethiopia. RL: What do you think the best approach is to bring maximal impact to Ethiopia? EM: We need to engage with global political leaders and show them how a repressive situation is getting worse and worse. ... We need to identify the pressure points. For me, that is engaging the Ethiopian politicians with global leaders. 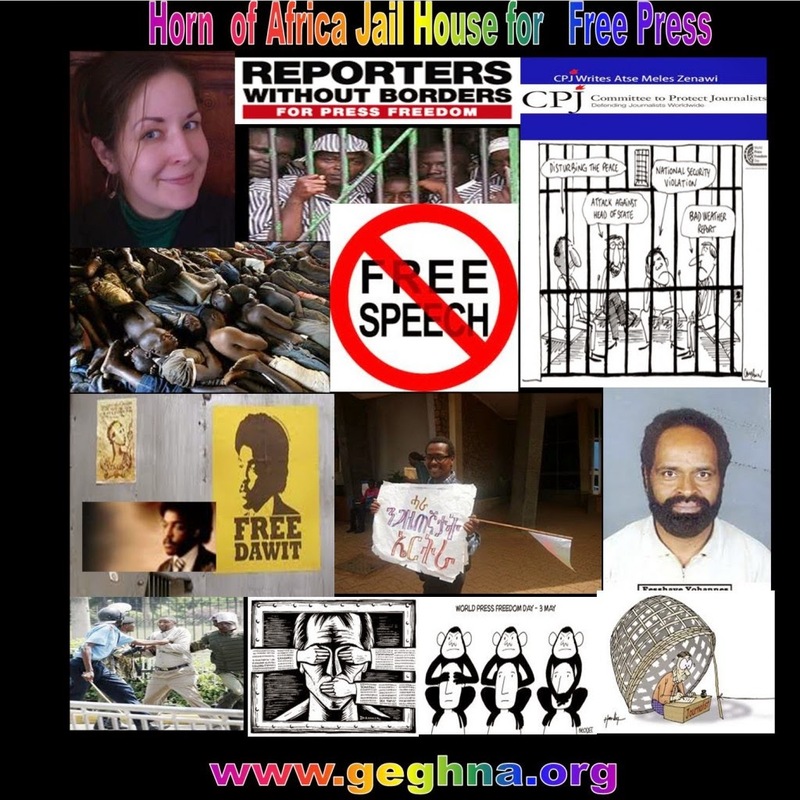 RL: What is on the horizon for press freedom in Ethiopia? Ethiopians' Internet penetration is less than 2 percent. Ethiopia is the second most populous country [in Africa]. We have only one government monopoly Internet service provider. ... Things are getting worse. The picture that I'm trying to paint here is really gloomy. The people in power are trying to control the flow of information into the country. ... Every possible way of trying to engage with people is literally becoming impossible. There is no newspaper, no daily newspaper for a country like Ethiopia with a population of 90 million. RL: How is the Ethiopian situation related to the rest of Africa? For example, in Egypt, a judge recently sentenced three Al-Jazeera journalists to seven to 10 years in prison. Several other journalists are imprisoned there as well. EM: The Ethiopian government is giving a kind of message to the rest of the African governments, to get away with gross violations of human rights. One of the things that is common in Ethiopia is arresting bloggers or journalists and sentencing them to twenty-something years--for example, Eskinder Nega, one of the prominent bloggers, who had been sentenced to 18 years in prison just for blogging. And the rest of the African governments are taking a lesson from that. ... It's giving the wrong message that African governments can get away with impunity. 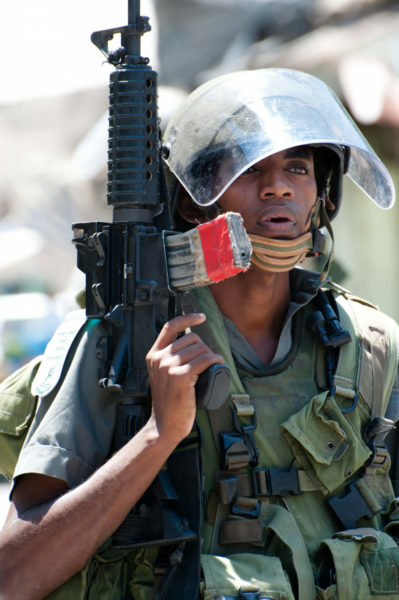 [The Ethiopian authorities] are trying to make impunity as mainstream as possible. So that's what happened in Egypt now. It's all common in the region. It has this chilling effect on freedom of expression. RL: You mentioned fewer than 2 percent of the Ethiopian population has an Internet connection. Why does the government care so much about a few bloggers? EM: There are different theories about that. The first one is that change comes from the elite, comes from cities--and people who use Internet are from cities. If you try to control people's information who are living in cities, you can control all sorts of revolutions or instability. ... There is this tendency of trying to use every bit of information for its own sake. The government's constitution, which is a very good constitution, claims that the public media should be ruled by the public, but in the Ethiopian case, it's ruled by the government. There is no plurality of voices in government and media. And they want to control that because there is a sort of plurality on the Internet. If you go into the Ethiopian social media sphere, you see all kinds of comments about the government and opposition groups. Editor's note: The first paragraph of this post has been corrected to reflect that of nine journalists arrested in April, only six were Zone 9 bloggers, not all nine as previously stated. Rachael Levy, CPJ’s Google Journalism Fellow, is a journalist whose work has appeared in the Chicago Tribune, GlobalPost, the Atlantic, Slate, and others. She is pursuing her master’s degree in multimedia and business reporting at the CUNY Graduate School of Journalism. Ethiopia - State broadcaster fires 20 journalists for "narrow political views"
Reporters Without Borders condemns last week's politically-motivated dismissal of 20 journalists from Oromia Radio and Television Organization (ORTO), the main state-owned broadcaster in Oromia, Ethiopia's largest regional State. 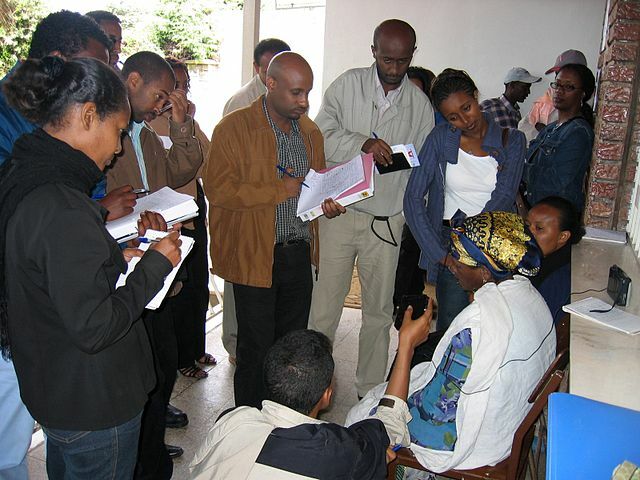 The 20 journalists were denied entry to ORTO headquarter on 25 June and were effectively dismissed without any explanations other than their alleged "narrow political views," an assessment the management reached at the end of a workshop for journalists and regional government officials that included discussions on the controversial Master Plan of Addis that many activists believe is aimed at incorporating parts of Oromia into the federal city of Addis Ababa. "How can you fire journalists for their political views?" said Cléa Kahn-Sriber, the head of the Reporters Without Borders Africa desk. "The government must provide proper reasons for such a dismissal. Does it mean that Ethiopia has officially criminalized political opinion ? "In our view, this development must be seen as an attempt by the authorities to marginalize and supress all potential critiques ahead of the national elections scheduled for 2015 in Ethiopia. These journalists must be allowed to return to work and must not be subjected to any threats or obstruction."